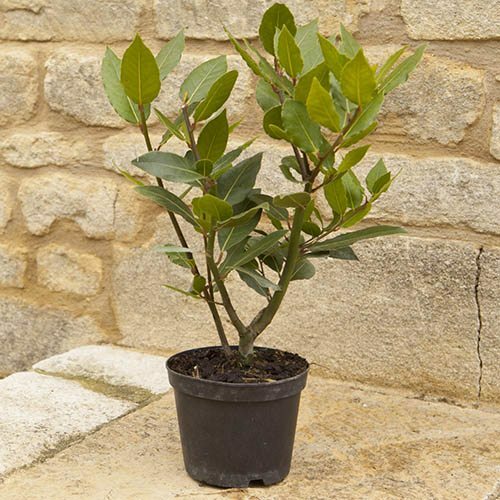 The perfect little Kitchen Bay Tree, ideal for plucking the odd fresh leaf for stews and casseroles, or for adding to the barbecue or oven for that fresh zingy infusion of meats and savouries. Slow growing when you keep taking leaves for cooking, it's ideal in a modern pot on the patio, or planted in a mixed herb garden or veggie patch. Easy to look after and very useful garden herb. Supplied as a 20-30cm tall plant in a 1L pot.